The foundation to a great makeup look is beautiful, glowing, healthy skin. Whether it be a little well deserved pampering or prep for a big day, I would love to help you achieve your skincare goals! The skincare room is located within Salon Tryst, in Bellingham WA. If you are a former bride of mine, I would love to thank you for including me in your day by offering $15% off all esthetic services! Rejuvenating deep cleanse and exfoliating scrub followed by a skin analysis, steam towels, double mask, and facial massage. A safe, non-invasive, amazing alternative to chemical exfoliation and hair removal. This facial removes the build up of dead skin while also removing the fine facial hair also known as "peach fuzz". Also known as Dermarolling or Collagen Induction Therapy. 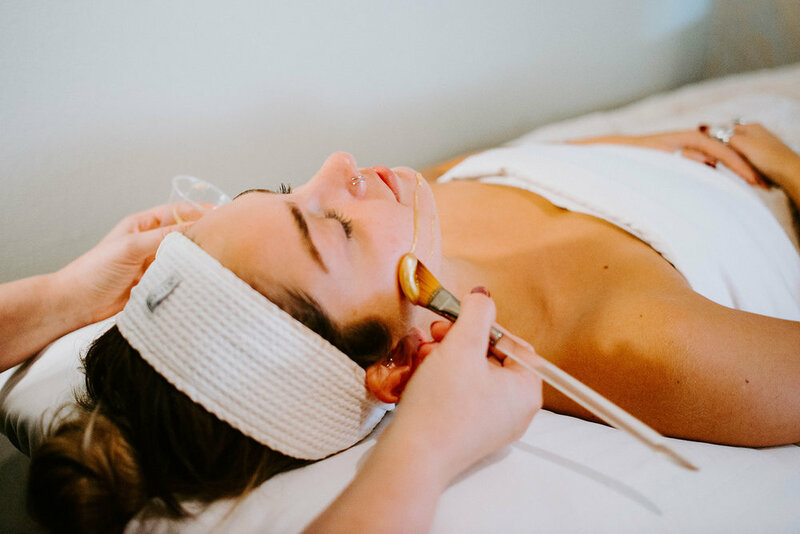 A roller with needles (length determined by skin type) is rolled across the face causing controlled injury and inducing the skin to make more collagen resulting in clearer complexion. Works to reduce fine lines & wrinkles, sun spots, and scarring. Stainless steel, diamond dust encrusted wands combined with gentle suction are moved over the skin’s surface to achieve a deep, even exfoliation. Skin is instantly glowing, fresher and softer. Used to kill bacteria under the skin, stimulate collagen, and can even be used to encourage scalp health! A lifting and curling effect from the base of the eyelash to the tip. Just one 40 minute treatment will deliver a luscious lash lift that will last up to 8 weeks! Color matched for your skin tone and hair color, lasting up to 6 weeks. Brow wax and tint combined with a lash lift and tint.